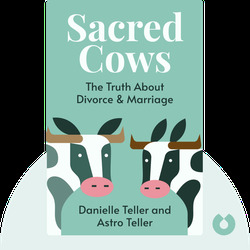 Sacred Cows (2014) tackles the sacrosanct subject of marriage, an institution often considered to be above criticism. 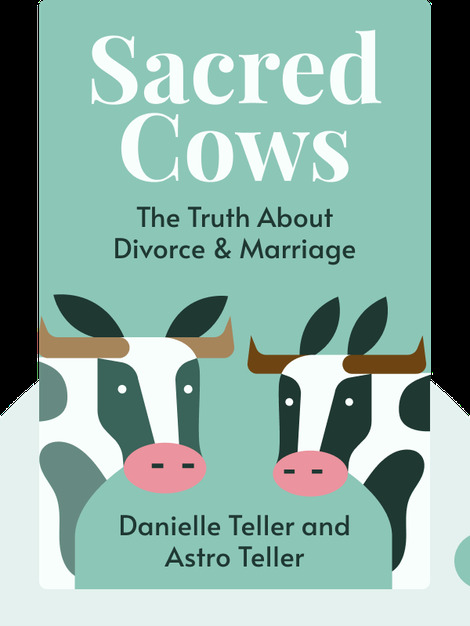 Rather than offering practical guidance on how to fix a marriage or how to recover after a marriage dissolves, these blinks consider how society is arranged to make us feel bad about divorce. The advocates of certain societal viewpoints are given a firm dressing down. Danielle Teller is a Canadian-born doctor of medicine, currently residing in Palo Alto, California. She trained at several universities, including Brown and Yale. In 2013, she decided to pursue her dream of becoming a writer. Astro Teller, the husband of Danielle Teller, holds a PhD in artificial intelligence from Carnegie Mellon University, Pittsburgh. He studied computer science at Stanford University. He is also the author of Exegesis, a science-fiction novel.